Welcome back to Press Start to BGN, Laurier’s gaming show by a bunch of Game Design & Development students here at Laurier’s Brantford campus. The program is very new and so is our show, so for those who don’t know Game Design & Development is headed by Dr Scott Nicholson through the Brantford Games Network or BGN, hence the name “Press Start to BGN” which sounds like “begin.” This week we talk about the oversaturation of games on Steam and increasingly PlayStation Stor and Xbox Marketplace. Are there too many games? Can the good games survive in a world where dozens of games release a week and drown them out? We also talk about the games that made us most emotional, be it happy or sad, scared or mad. Thanks for tuning in! The game of my dreams (and my wallets nightmares) is finally here! With 2 Games and a new short movie, you can play through a new story with our familiar characters! Includes: Kingdom Hearts Dream Drop Distance HD Play through the 3DS game in full 1080p HD! Completely remastered for the PS4, join Sora and Riku in their undertaking of the Mark of Mastery Exam. New mechanics and faster-paced battles make this game one of the most fluid games in the series! Kingdom Hearts 0.2 Birth By Sleep- A Fragmentary Passage As a brand new story, taking place after the events of the PSP game Kingdom Hearts Birth By Sleep, links our past heroes to the upcoming game, Kingdom Hearts 3. If you’re a sucker for story, or just really like Aqua, this story is perfect. Kingdom Hearts X Back Cover This is the reason the collection is called a prologue. The story of the Foretellers will be revealed, connecting the history of the lore to the main game. Enjoy the life and story of our characters, and play the game that will connect us to the final game in the series! Capcom welcomes back a massive series with a bang! Resident Evil 7: Biohazard will take place in 2017, about 4 years after the story of Resident Evil 6. Join our new protagonist, Ethan Winters, as he takes on the task of finding his missing wife, and learns the story of the Baker family. As the first main-series game taking a first-person perspective, Capcom takes a different direction in their development, shown in their playable teaser trailer, Beginning Hour. For those who enjoy this series, as well as those who enjoy the horror/mystery genre, enjoy the new experience! Are there too many games? This week on PSTBGN we give our opinions on how a lot of games have been coming out and not all of them are as good as you would want them to be. Steam and the IOS store have a lot of bad games and not much is being done to regulate which games can be published. This goes for PlayStation, Xbox, and Nintendo. We also talked about what games have made us tear up. That Dragon Cancer, a game created by Ryan and Amy Green, Josh Larson, and a small team that go by the name Numinos Games released That Dragon Cancer is a game based on the Green’s experience raising their son, Joel, who was diagnosed with cancer at only twelve months. The game is a point-and-click adventure game, and immerses the player to relate the tale in a way a film cannot. Off a critically acclaimed French surreal adventure RPG made by Mortis Ghost in 2008. The game was translated into English in 2011 and is considered a gem among indie adventure RPGs. The Last of Us is an action-adventure survival horror video game developed by Naughty Dog and published by Sony. It was originally released for PS3 in 2013. In The Last of Us you play as Joel, a smuggler tasked with escorting a teenage girl named Ellie across post-apocalyptic United States. The United States has been infected by a mutated strain of the Cordyceps fungus, turning people into zombie-like beings, use weapons to defend yourself, and progress through the story which focuses on the relationship between Joel and Ellie. It is now available for the PS4 and has The Last of Us: Part 2 set to be released. Undertale, a role-playing video game created by indie developer and composer Toby Fox. In the game, you play as a human child who has fallen into the Underground, a secluded region underneath the surface of the Earth, separated by a magic barrier. You meet various monsters during your quest to return to the surface. One of the most defining features of Undertale is it’s combat system, where players have much more choice actions to do other than attacking, including the option of showing Mercy. Attack monsters or kill them these are the choices that will affect the rest of the game. The Walking Dead is a story based game with the first season released in 2012. The game takes place in Georgia, with the events occurring shortly after the start of the zombie apocalypse. It centres on university professor and convicted criminal Lee Everett, who helps to rescue and subsequently care for a young girl named Clementine. The Walking Dead, unlike many other graphic adventure games, focuses on story and character development instead of puzzle solving. The story is affected in usual Telltale fashion, by dialogue choices and quick time events which can lead to drastic changes in the story. Pokemon Diamond released for the Nintendo DS in 2006. Like previous Pokémon games you play as a -Pokémon trainer as they train and battle Pokémon, while thwarting the schemes of a criminal organization. In Pokémon Diamond the trainer is in the Sinnoh Region and the criminal organization is Team Galactic. Dragon Age: Origins was released for the PS3, Xbox 360, and PC in 2009. It was developed by Bioware and released by Electronic Arts. Set in the fictional kingdom of Ferelden during a period of civil strife, the game places you in the role of a warrior, mage, or rogue coming from an elven, human, or dwarven background. The player character is recruited into the Grey Wardens an order that serves to stand to protect against the demonic forces known as the “Darkspawn” and is tasked with defeating the commander, the Archdemon, and end their invasion known as “the Blight”. From Nintendo comes another instalment to their Pokémon franchise, 2016’s Pokémon Sun and Moon. Pokémon is a roleplaying game that has players catching various species of Pokémon, battling trainers be it online or in the game’s story mode, take care of their teammates in Pokémon Refresh and more. In Pokémon Sun, players can find Pokémon exclusive to their version of the game and has their game running exactly to their 3DS’s programmed clock. Available to play on the Nintendo 3DS. From Blizzard Entertainment comes their 2016 first person shooter, multiplayer game Overwatch. Overwatch contains multiple characters to choose from to battle as with their strengths being linked to four main play categories: offense, defense, tank, and support. Choose your character and fight either one on one or on a team of six against other teams throughout the game’s various game modes and maps. 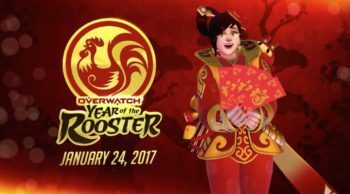 With updates and events coming out throughout the year, Overwatch is available on PC, PlayStation 4, and Xbox One. In Pokémon Moon, players can find Pokémon exclusive to their version of the game and has their game’s clock running twelve hours ahead of their 3DS’s clock when they play. Released in 2007 by BioWare is the action roleplaying and third person shooter game Mass Effect. In Mass Effect, you play as Commander Shepard who is tasked with the mission of stopping a portal from letting in a great enemy with the ability to eradicate all life. Travel on your starship with your team members to stop the portal and save all life as we know it. Available on Xbox 360, PC, and PlayStation 3.